These intelligent HP StorageWorks storage area network array options at Aventis Systems are an excellent choice for the small to medium business or enterprise remote site in need of cost-effective, scalable, and advanced shared storage functionality. 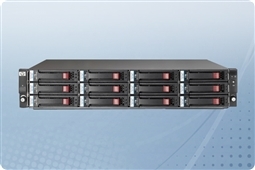 HP SAN arrays provide a broad spectrum of interface options between 1GB iSCSI, 10GB iSCSI, 4GB fibre channel, and 8GB fibre channel allowing you to choose the proper performance and cost point for your business requirements. Browse our wide variety of first-class HP StorageWorks Modular Smart Array storage systems and Dell PowerVault storage arrays today! Wondering which HP StorageWorks SAN (Storage Area Network) arrays are best for your business continuity and budget? Check out our Survival Guide: Avoiding A Data Apocalypse today!